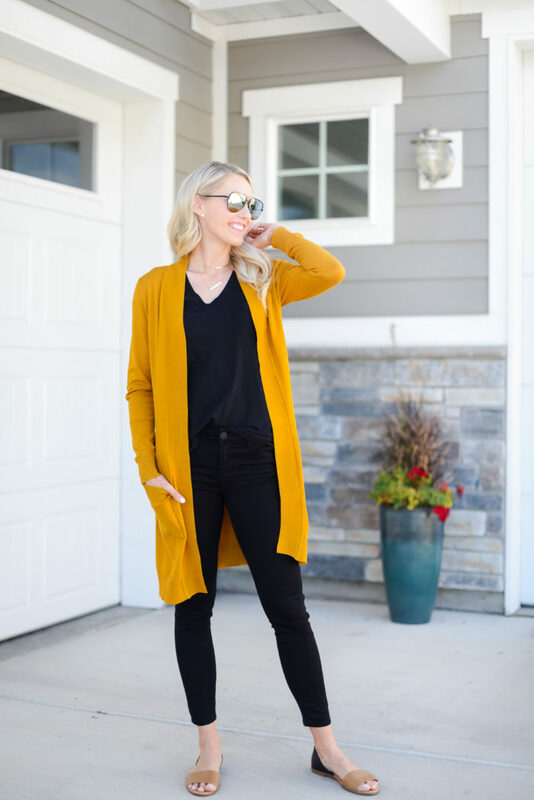 The Sweater that you Need for Fall: Comfy and Cozy Cardigan! Remember the super, super, cozy soft sweaters that I posted about recently here that sold out really, really fast? 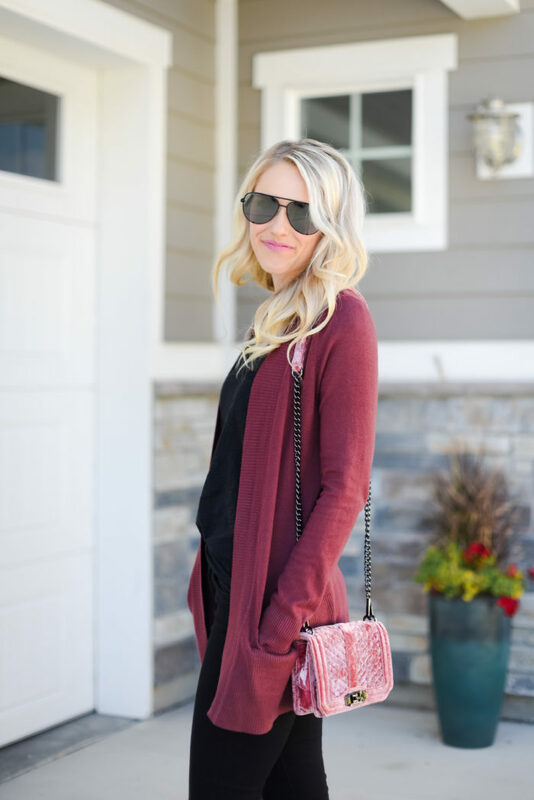 Well…this is the EXACT SAME SWEATER, EXACT SAME FABRIC IN CARDIGAN FORM!!!!! Oh my gosh. When I heard about these sweaters I started to freak out. Like, I got so excited. And do you want to know what tripled my excitement? The fact that my friends at Cents of Style went directly to the manufacturer to self-brand so that they could offer my people a killer deal. Like…40% off!!!! YES!!! 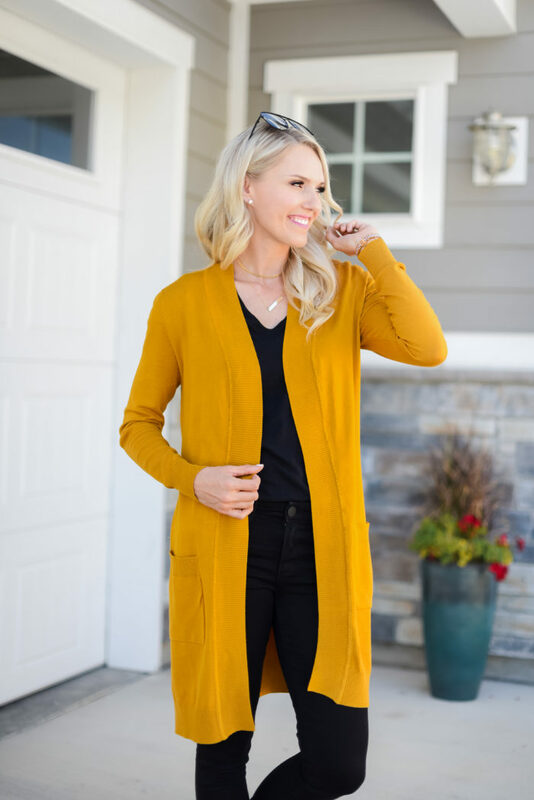 Use code FALLCARDIGAN at checkout to get 40% off making it only $26.97. Click HERE! Now, I’m not one to try to instill panic to get you to buy something; it’s my style. BUT if you are wanting this sweater, I would highly recommend buying now because these will fly off the shelf, especially at this price. It is BUTTERY soft. And I don’t take the word “buttery” lightly. Not me. I like my carbs. A word on these jeans: they are the EXACT same fabric as a designer denim worth $200, but they are only $45. TRUE story. My friend at Nordstrom told me about them and I had to give then a try. I have worn them for 2 days straight, laying on the floor with my babies, squatting down, kneeling down, giving them baths, and they have held their shape. I am beyond impressed and they literally feel exactly like my designer denim!! I would recommend ordering 1 size down. Oh, hi! Here’s the sweater again in the color “dusty plum.” It comes in 8 colors! 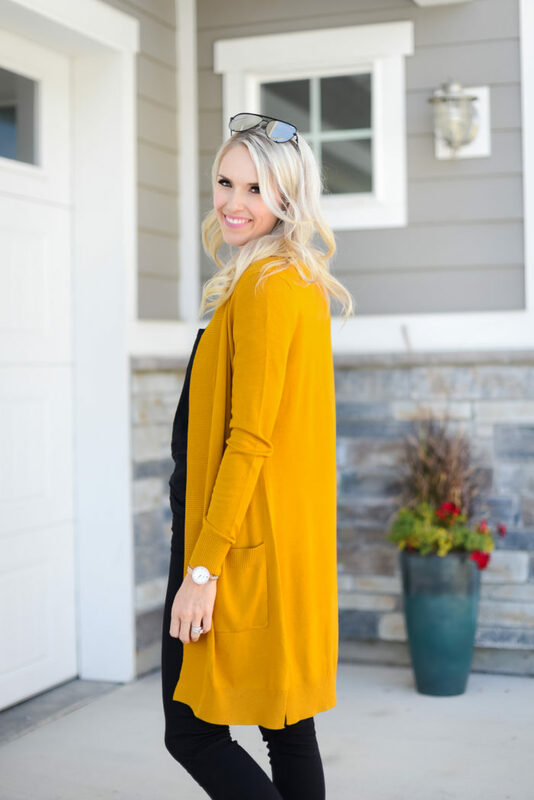 This is a longer sweater option and I really love the mustard color that I’m wearing. 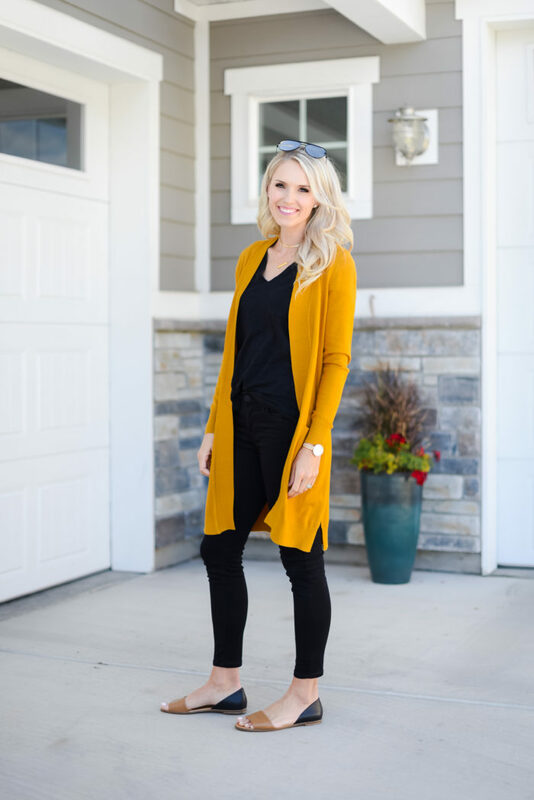 It’s only $29.97 using code FALLCARDIGAN at checkout. YES!! It comes in 7 colors, and I love the more neutral tones as well. Surprise surprise. You guys know this about me! Looks comfy and that cardigan is a GREAT price. I have been rocking Quay High Keys ever since I saw you wearing them a month or so ago. I think they flatter a lot of different face shapes!